Whenever home prices rise sharply the housing bubble question is asked. Are Housing Bubbles Emerging Again? Whenever home prices rise sharply, as they have in recent months in some markets, the housing bubble question is asked. It is an anxiety-laden question, since the housing bubble that emerged during 2000-2006 led to the collapse of the home mortgage market and the ensuing worldwide financial crisis. The crisis and its very costly aftermath have not been forgotten. A bubble is a marked price increase fueled at least partly by an expectation that prices will continue to rise. 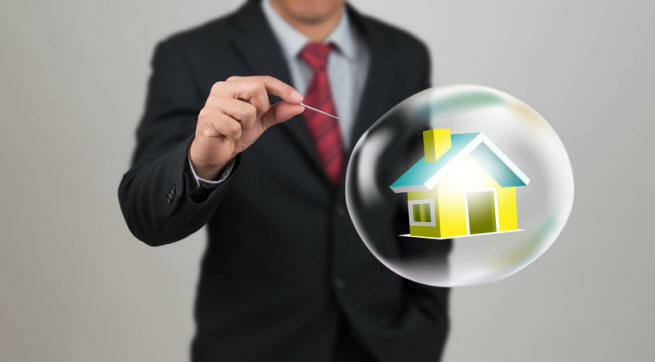 What distinguishes a bubble price rise from a non-bubble price rise is that in the bubble a significant part of the demand that pushes up prices originates from speculators, whose intent is to resell quickly at a higher price. It is speculation that converts the price increase into a bubble. Also contributing to the bubble are what might be termed speculative buyers, who are induced to become homeowners, or to upgrade by the lure of future price increases and the availability of easy financing terms. Absent the price increases, they would have waited, perhaps indefinitely. Fueling the housing bubble is easy financing as lenders come to share the belief that the rising home prices will continue indefinitely. So long as house prices are rising, it is very difficult to make a bad home mortgage loan. In the worst case where the borrower cannot pay, the lender gets fully repaid because the appreciated collateral covers the cost of foreclosure and sale. When the expectation of price increase that prompts speculation comes into serious question, speculative demand collapses and prices drop sharply. Recent home purchasers find that their homes are not worth what they paid for them, and lenders find their expected profits converted into losses. The bubble has burst. Product homogeneity, because it eliminates the risk that the price behavior of the purchased product won’t be typical of the class. Low transactions costs, so they get to retain the largest part of any speculative profit. Low carrying costs for the same reason. The major force at work during 2000-20006 was easy financing at attractive terms, spear-headed by Fannie Mae and Freddie Mac. The agencies sought to meet Congressionally-mandated targets of loans to disadvantaged groups. The development of a private secondary market in securities backed by sub-prime loans, which were blessed as investment grade by credit-rating agencies, also played a major role. Those agencies shared the belief of lenders that house price increases would continue indefinitely. In addition, speculative buyers had access to special types of mortgages designed to maximize their buying power. The most radical of these was the option ARM, which allowed the borrower to make payments in the early years that did not cover the interest. Instead of amortization, where the balance is paid down, the option ARM allowed negative amortization where the balance increased. Is There Bubble Financing Today? The housing finance system today differs in important ways from the system that fueled the earlier housing bubble. Fannie Mae and Freddie Mac are no longer required to meet Congressionally-mandated targets of loans to disadvantaged groups. The secondary market in sub-prime loans is gone, which means that there is no sub-prime market other than the FHA program, which was not caught up in the earlier bubble. And option ARMs are no longer being written. Also relevant is that people today remember the last bubble, it has only been 15 years or so. The bubble before that was in the 1920s, which by 2000 had been long forgotten. While there are no indications that the current house price increases are a bubble, one could begin emerging at any time, which raises a question regarding recognition – what should we look for and where? My colleague Jack Pritchard believes that the next wave of house price bubble financing will be initiated by Fannie Mae and Freddie Mac through liberalization of their underwriting requirements. Indeed, he argues that the process may already have begun. I can’t confirm or dispute this because only approved lenders have access to the automated underwriting systems of the agencies. That could and should be fixed. There is no defensible reason for not making the automated systems available to the public. It would be easy to provide a version that would allow a non-lender to find the agency’s requirements for hypothetical users and properties. With such access, curious users like me could chart changes in requirements over time so that bubble financing, from that source at least, could not evolve unobserved.